At Hirsch Pediatrics we strive to ensure our current patients have the child care answers they need when they need them. Below please find answers to your most common questions about our practice and your child’s appointments. We are always available by phone or Patient Portal if you have any questions that are not addressed in this section. Note: You may leave a telephone message or send us a Patient Portal message 24/7 to request an appointment. At Hirsch Pediatrics, we prioritize making same-day appointments available for all requests for urgent sick visits that we receive by phone before 3:00 pm. Phone requests for sick visits received between 3:00 – 4:00 pm will only be scheduled if available. All phone requests for sick visits after 4:00 pm will be scheduled for the following morning. If you think your child needs a same day appointment, please call before 3:00 pm to ensure availability. Note: Hirsch Pediatrics does not have walk-in appointments. If you think your child needs to be seen urgently, please notify us as soon as possible so we can rearrange the schedule to accommodate your child. Early in life, especially before the age of 12 months, children require frequent well-child exams. At each visit, in addition to a complete physical exam and review of your child’s growth chart, we will discuss many issues including your child’s development (gross motor, fine motor, language, social), feeding and sleep patterns, safety issues, and goals for your next visit. I wholeheartedly support the American Academy of Pediatrics recommendation that every child be fully vaccinated in a timely fashion. As of January 1, 2009, if you wish to significantly modify the vaccination schedule, I am no longer able to provide care to your child and will ask you to find another pediatrician that has an alternative vaccine philosophy. PLEASE CLICK HERE TO READ THE HIRSCH PEDIATRICS VACCINE POLICY. WE ARE NOT ABLE TO MAKE ANY EXCEPTIONS (EXCEPT FOR TRUE MEDICAL VACCINE CONTRAINDICATIONS) TO OUR POLICY. By adhering to the recommended schedule for all children of Hirsch Pediatrics, I want to reassure other parents (especially those with newborns) that their child will not be unnecessarily exposed to vaccine preventable diseases at his or her visit to Hirsch Pediatrics. Thirty years ago, children received seven vaccines, which protected against measles, mumps, rubella, diphtheria, tetanus, pertussis and polio. The total number of bacterial and viral proteins contained in these seven vaccines was a little more than 3,000. Today, children receive 14 different vaccines, but the total number of immunological components in these vaccines is only about 150. This dramatic reduction is the result of scientific advances that have allowed for purer, safer vaccines. Given that infants are colonized with trillions of bacteria, that each bacterium contains between 2,000 and 6,000 immunological components and that infants are infected with numerous viruses, the challenge from the 150 immunological components in vaccines is minuscule compared to what infants manage every day. I recommend that any parent that still has questions or concerns about administering multiple vaccines at once click HERE to read the full text of this publication. The effectiveness of a vaccine depends, amongst other things, on the percentage of the population which has received it and is still within the period of protection offered by that vaccine. Vaccinated people act as a sort of “firebreak” in the spread of the disease, slowing or preventing the further transmission of the disease to others. Since the protection offered by vaccines is rarely 100%, the vaccine will be more effective if more people have been vaccinated. This is because the disease may be able to jump from one unvaccinated person to another person who has not been vaccinated, but is unlikely to be able to jump from one unvaccinated person to another who has been vaccinated. Virologists and epidemiologists who have studied these areas have found that when a certain percentage of a population is vaccinated, the spread of the disease is effectively stopped. This critical percentage depends on the disease and the vaccine, but 90% is not uncommon. This is herd immunity – the fact that others in the herd or population have been vaccinated provides protection to all others, whether or not vaccinated themselves. Finally, in responding to questions of vaccine safety, I consider rigorous scientific research and continued post-marketing surveillance for guidance on what the best choice for your child is. When it comes to the health of our children, I want to be sure that these vaccines are as safe as possible, and like any medical intervention, that the benefits of vaccinating your child strongly outweigh the risks. What is the vaccination schedule? Hirsch Pediatrics utilizes the vaccination schedule recommended by the Centers for Disease Control and approved by the American Academy of Pediatrics. Because of the flexibility in the exact timing and choice of vaccines, we have been able to design a vaccine administration schedule that will provide complete protection to your child while minimizing the total number of injections. In most cases, your child will receive vaccinations prior to leaving the hospital and at the 2 month, 4 month, 6 month, 12 month, 15 month, and 18 month visits. The remaining vaccines will be given at age 4, between ages 10 to 12 years, and then finally in high school prior to college. Prior to administering any vaccine to your child, we will always review the most up-to-date research to ensure the highest level of safety and effectiveness in the vaccine. Toys: No group toys will be provided. Especially because it would be impossible to clean every group toy after every child, I have created a system where each child has his or her own bucket of toys for the duration of their visit. These toys are given to the child upon their arrival in the waiting room and kept throughout the visit. After the bucket has been used and prior to the next use, all of the toys are disinfected. Waiting Room: Twice a day we will do a thorough disinfectant wipe down of the waiting room, including all chairs, countertops, and door handles. Also, we will strive to minimize your time in the waiting room. Examining Rooms: Although table paper prevents some contamination, the use of it is an ineffective substitute for true examining room infection control. If in fact the only surface that the doctor, patient, and parent touched throughout the entire visit were the table paper, simply changing it would suffice. However, changing the paper does not disinfect the rest of the potentially contaminated examine room surfaces. After every patient visit, we will use a hospital-grade antimicrobial wipe to disinfect the entire examining room, including the part of the examining table not covered by the paper as well as the doorknobs, drawer handles, computer keyboards, and exam room chairs. The room is only ready for the next patient after all of these surfaces have been disinfected. Hand Disinfection: Throughout the office, you will notice what look like small, upside down canisters of whipped cream attached to the walls. These are not for spontaneous ice cream socials; rather it is the most effective way of keeping my hands disinfected in between patient appointments. The canisters contain an alcohol based disinfectant foam that has been shown to be substantially more effective at disinfecting hands then the conventional soap and water system (Guideline for Hand Hygiene in Health-Care, MMWR. 2002; 51:1-44). Additionally, proper hand washing techniques are very time consuming and are rarely used in traditional doctors’ offices. While in my office, I encourage you to use the foam for yourself and your children as needed. Remember, just a small dab is plenty and it dispenses like a whipped cream container. There are no studies documenting the need for, or benefit of, separate waiting areas for well and ill children. Efforts should be made to limit transmission of infectious agents by avoidance of crowding, shortening waiting times, and minimizing the sharing of toys. Thus, in designing the office, I purposefully chose not to create two separate waiting rooms. Rather, I chose to focus on those areas that have been proven to reduce disease transmission in any setting, whether it is a doctor’s office, shopping mall, grocery store, or your own home. Most infections are spread by transmitting a germ from a contaminated surface to a mucous membrane. When I say, “contaminated surfaces,” I am referring to surfaces where a living germ has landed or been placed (usually by a contaminated hand), such as doorknobs, elevator buttons, chair rails, toys, and other people’s hands. Mucous membranes are parts of your body that can internalize a germ and thus lead to infection. These include your eyes, nose, and mouth. After several hours, many germs die and the contaminated surfaces usually become less infectious. Therefore, the vast majority of infections are transmitted when a child or their caregiver touches a contaminated surface and thereby contaminates their hands, and then touches their (or someone else’s) eyes, nose, or mouth. Online bill pay is now available through your Hirsch Pediatrics Patient Portal account. Click HERE to directly access the patient portal. Click HERE for a link to the CHADIS portal. Note: If you are a new user signing up for the first time, you will need the following invitation code (which is the same as our office phone number) 3019903030 to set up your account. Click HERE for a link to information on the Flu Vaccine and our family walk-in clinic. Click HERE for a list of Dr. Hirsch’s very detailed Medical Advice handouts. 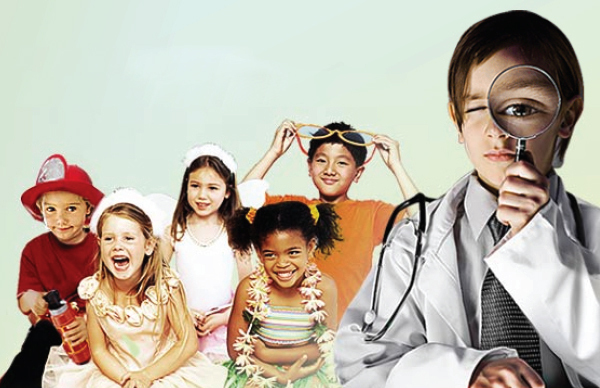 What insurances does Hirsch Pediatrics accept? We participate with the following insurances listed below. Note: Hirsch Pediatrics does not participate with any state insurance or Medicaid plans. Note: If your insurance plan requires you to designate a primary care physician (“PCP”), you must select our office prior to your first visit. If Dr. Hirsch is not designated as the PCP prior to the first visit, you may incur extra costs if the insurance company processes the claim as an out-of-network visit. In your insurance is out-of-network, we will collect the entire appointment charge from you at the end of the appointment. We will provide you with the necessary documentation to submit a claim to your insurance company for reimbursement. Your insurance company should send all reimbursements for out-of-network care directly to you. Does Hirsch Pediatrics charge an annual fee or any other additional fees for school/camp forms, prescription refills, or copies of my child’s records? No. There are no annual “membership” fees or additional fees for office services such as completing school/camp forms, prescription refills, after-hours telephone calls, or copies of your child’s records if requested by a parent or other medical office. As your family’s medical home, our “no fee”policy will save your family over the years between one to two thousand dollars. Note: There may be a small fee for copies of your child’s records if the request is from an outside agency, organization, or law firm. In these instances, the guidelines and fees for copying the records are dictated by Maryland law and the federal HIPAA act of 1996, not by Hirsch Pediatrics. Please call the office for additional details. Does Hirsch Pediatrics have a discounted fee schedule for uninsured and out-of-network families? Yes. Please CLICK HERE for a summary of expected uninsured and out-of-network fees for sick visits, check-ups, and vaccines. PLEASE READ: The discounted “out-of-network” and “uninsured” rates are only available for families who alert Hirsch Pediatrics of their insurance status BEFORE the appointment. Families who present insurance at the appointment that is later found to be terminated on date of appointment are not eligible for a retroactive discount. Therefore, to receive the discounted fee schedule if your are out-of-network or are uninsured, you must notify us BEFORE the appointment. Will my child’s check-up require a copay or deductible? Fortunately the majority of insurances will fully cover your child’s regularly scheduled check-ups. At your child’s check-up, Hirsch Pediatrics will ensure that all recommended preventive services and screening tests are completed according to the American Academy of Pediatrics (AAP) Bright Futures guidelines. This includes vaccinations, developmental/mental health screening, hearing and vision exams, and screening lab tests. Even though these services are recommended by the AAP, some insurances will require an additional copay or deductible for these additional recommended services. If you want to confirm coverage with your insurance before the check-up, Hirsch Pediatrics is happy to provide you with a list of the recommended preventive services and screening tests that your child will receive. In addition, when your child’s check-up is combined with another “non-check-up” visit at the same time your insurance may require an additional co-pay or deductible. The most common double visits are when your child comes in for a check-up but also has their ADD/depression medications discussed or refilled and when your child comes in for a sick visit but is overdue for a check-up and we are able to add in a check-up at the same time. Hirsch Pediatrics is proud to be recognized as an NCQA Level 2 Patient Centered Medical Home (PCMH). Our PCMH explains the role of Hirsch Pediatrics in becoming your child’s medical home. Montgomery County has abundant community resources for children and families. Hirsch Pediatrics has complied a list of some of the most helpful resources. In Montgomery County, you can also simply dial 311 from any phone and a trained operator will help guide you to any resources that you need (including those listed in the handout). 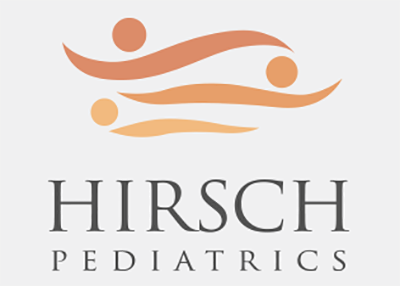 Hirsch Pediatrics also welcomes your feedback on these resources. 12:30 PM - 2PM. Closed Sat/Sun.